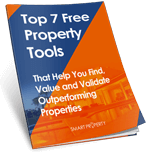 Smart Property uses market and property data to help time-poor investors acquire outperforming property assets, so you can grow your wealth and freedom and still have time to live your life. Are You Too Busy Earning A Living To Build Any Real Wealth? It’s a fact: many hard-working Australians who earn good money are behind the eight-ball when it comes to building real assets such as investment property… property that can provide a lifestyle of abundance to you and your loved ones, and give you the freedom to do more of what you want, when you want, with whomever you want. This is understandable. With the many demands of work and family life, it’s easy to feel run off your feet. 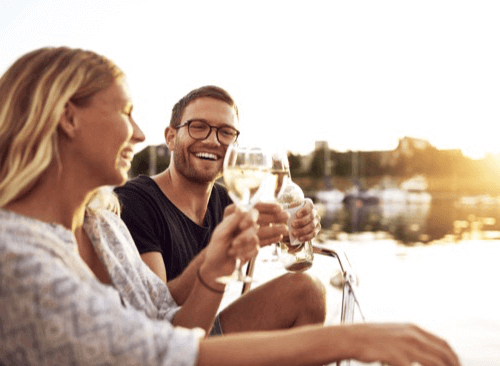 So you end up working hard for every dollar (and paying far too much tax), instead of letting smart investment strategies and astute property selection do the heavy lifting for you. Property investment receives a lot of attention, with a record of historically strong returns and the peace of mind of “bricks and mortar”. But most properties are, by definition, “average”. 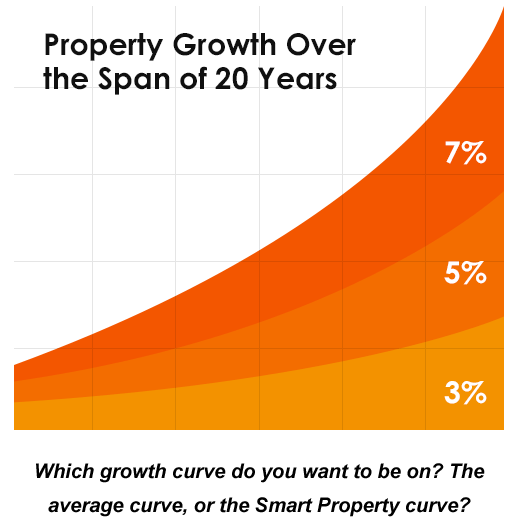 And the difference between an average property with a 5% annual growth rate, and an outperforming property with a 7% growth rate could be worth over $1.6 million dollars to you in 30 years’ time. That’s where Smart Property comes in – we use data and research to identify the outperforming property assets that will get you to your goals faster, easier and with more certainty. 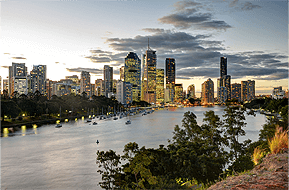 While selecting the right property is undoubtedly important, even the best property held in the wrong structure or funded in the wrong way, could cost you hundreds of thousands of dollars over the long term. That’s why we developed the Smart Property Trinity – a framework for ensuring each client is set up for long-term success. Factor #1: Right Structure: making sure every property you buy is purchased via the ideal legal entities, taking into account your situation and goals, tax considerations, asset protection, flexibility etc. 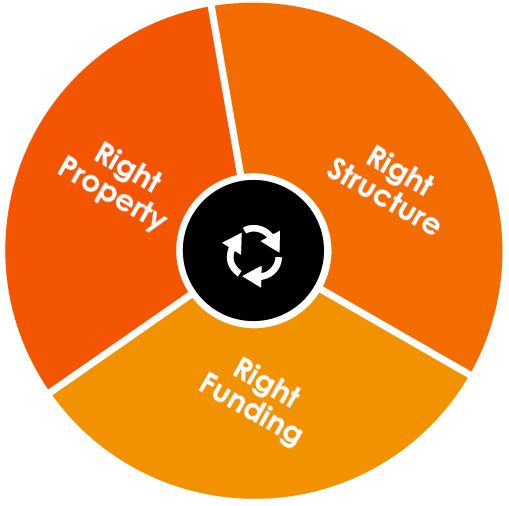 Factor #2: Right Funding: strategising the ideal loans and funding structure to support long-term investment success. Factor #3: Right Property: plugging in property assets that suit your goals and have a strong chance of outperforming the market in the medium to long term. Find out more about you and your needs and goals and see if we're a good fit to talk further. 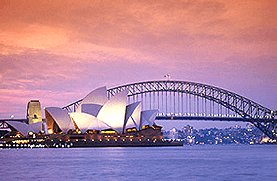 Determine the most effective structure for long term investment success. Understand what you may be able to purchase and how loans should be structured. Whatever we have agreed upon, we make happen smoothly. "The property space seems to be full of people who are more like product floggers than genuine strategists. Yannick is definitely one of the latter. 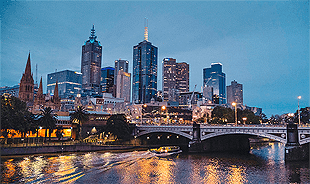 We engaged Smart Property to strategise and execute the purchase of a commercial property within our SMSF in what was quite a complex transaction. The team has a strong grasp of the applicable rules, finance policies and associated strategies and we’ve been very pleased with the end result." "You were able to recommend a property that was in line with my goals and was cash flow positive. And by restructuring my finances, I was able to purchase two properties instead of one. Both properties are cash flow positive and in growth regions where I have already seen solid equity gains."